Märklin's limited 1999 pieces Orient Express (26922). I was able to shoot this fine and luxurious train and cars, with a Badanian VIh in her nifty livery. Besides, there were many more to shoot, so... after some 5 hours of photography you can once again expect a lot. Since there was this nice elderly couple in the shop, buying a V200 from ESU (diesel - I don't do diesels! ), and Sander was complimenting me for my photographic skills (???) I offered these nice people a special shooting of their newly bought locomotive! More photo's will follow. And... a happy new year to all of you guys! 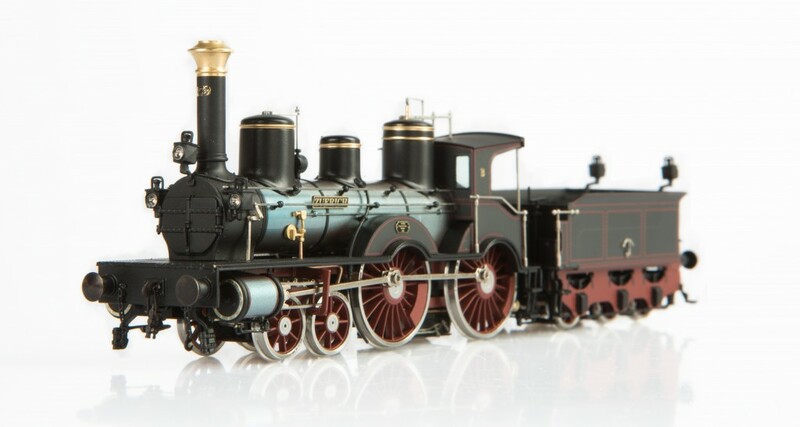 Being at my dealers today, I got Märklin's Prussian G 12 (#37558) - the fourth in a series of five "Borsig"- releases. A stunningly fine engine, sharply coloured, smoothly running capacities, with a thrilling sound. and Trix Express (31318). On 19/11 I found this second hand set at my dealer's. Although a little damaged and pretty much dusted, I was able to add this gem to my List. A lovely day at my dealer's again. Several hours of photography. Mostly Dutch sutyff, some oldies from Fleischmann (1304, 4305) and the Prussian Trix Express Set (31318) with pr. T 2 Glaskasten! The results will be posted in the next few days. After some 20 years I visited Eurospoor Utrecht again. In a great and tranquil atmosphere I met some kind dealers and friendly people running their layout. At one small stand I talked to a guy who had made this lovely Betriebswerk with Einheidslokomotiven. With one exception: A Badanian IV f (BR 18.2). He told me that he had made it out of a Roco S 3/6 and some other parts. A nice looking model in "Glanzblech". When I wanted him to compare his creation with the Micro Metakit models that I took in Landshut, he just gave a small glance at my cell phone and cried out: "But that is Osterthun's website..."
I looked at him and said: "C'est moi..."
He gave me a glance as if he was talking to Steve Jobs...! While visiting my brother... a not too short stop at my dealer's for the latest photo shoot. And this is how she looks "dressed up", shot outdoors in open daylight and in Bellingrodt position. More pictures ad loci. Today two photo shootings in a row. In the morning I spend some hours at WSUM Waalwijk. The S 2/6 in blue finally arrived this week. Then there was the first release of the Swiss "Elephant" C 5/6. 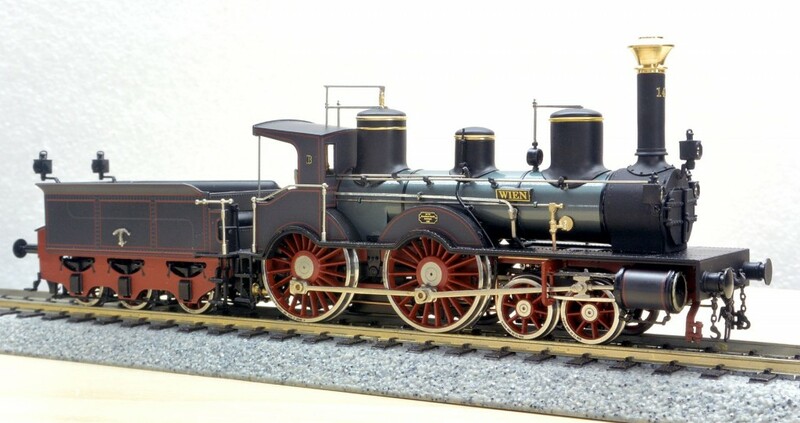 Although not in my line of German steamers, the model is kind of worth looking at. In the afternoon I visited a small train store in Zevenhuizen. Alas the dealers were pretty reluctant to my photo shooting in their shop. After some 5 locomotives, I left the store. Since I wasn't able to shoot in daylight (and my camera nor software couldn't produce an acceptable blue tone), the results are rather poor. On my dad's layout, the train appointed to me to run in the 1980's, was the 01 097 (3048) pulling 6 beautiful "Popart" coaches (2x 4091, 2x 4092, and the green luggage coach (4093) at the end. In the middle was the beautiful "Speisewagen in Karminrot/grau" (4094). Although not up to today's standards, it was an impressive long train on an even more impressive huge layout. I treasure the memory. You can find more of it in the DB-section. Even 'connaisseurs' might get confused. 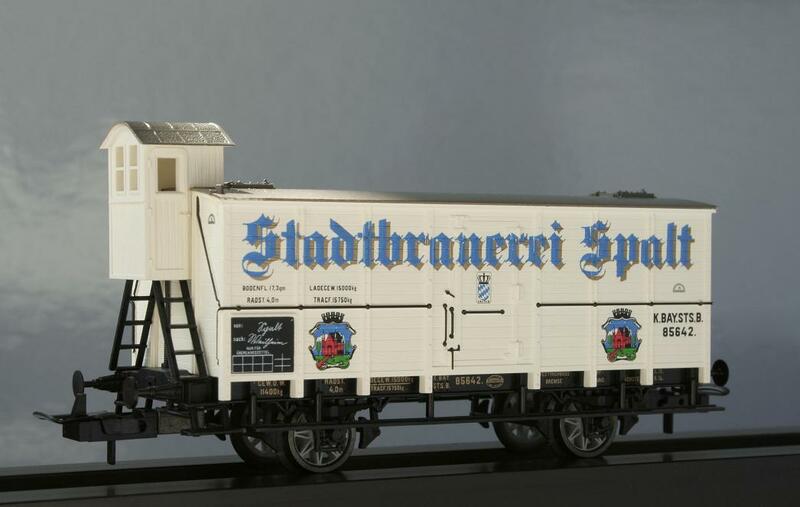 At the left is the Märklin version of the short axled Löwenbräu (#45250). At the right, the Trix version of Löwenbräu (#24102). The former still with its original but not painted wheel set. 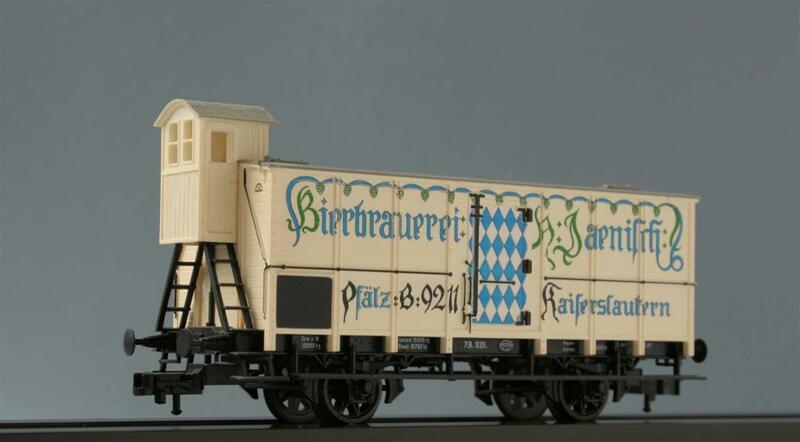 The Trix version however now foreseen with Märklin's Bavarian grey painted AC wheel set. Are you still with me...? ! ... and now with the new AC wheel set: fully metal and with free spokes. In the midst of all brand new models, I love to see oldies as well, on which tracks of age can be seen. Hence no photoshopping. 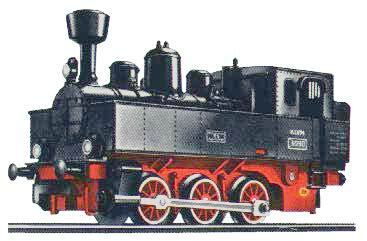 The DA800 was the first Class 23 (Neubaulokomotive) that Märklin made in the 1958's. This is the 2nd version, now with a metal hood. After some adaptations the model was renumbered into 3005. The references (DA 800 viz. 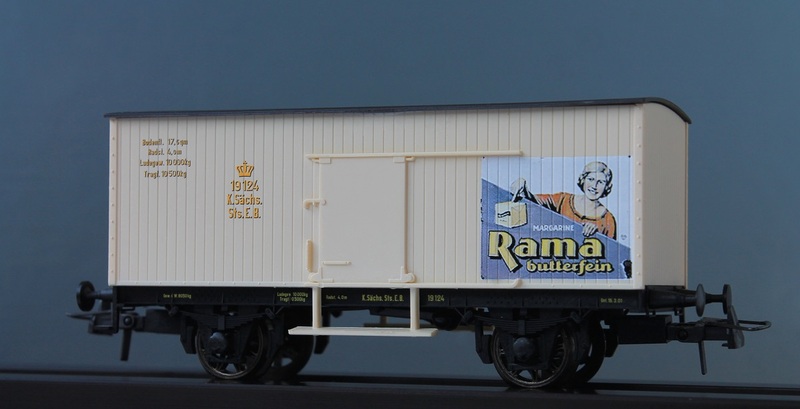 3005) and even the factory name "Märklin" (other side) were printed in the die cast hood. The "bicycle" logo can be found on the cylinders. 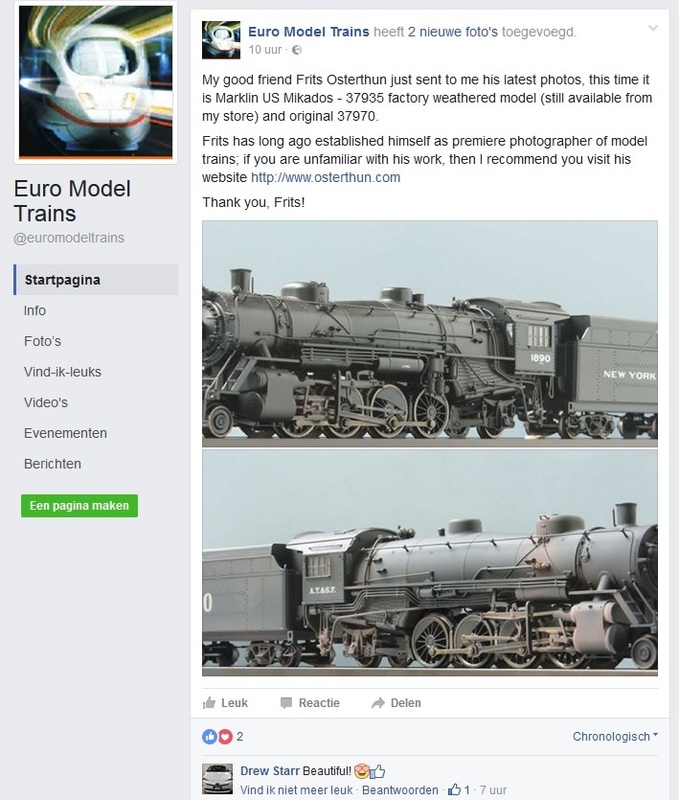 Last night, I sent some pictures of the Märklin American Mikado's to Michael from Euro Model Trains. just to say "thank you" for my photography! A quick visit to my dealers ended up in a couple of hours photo shooting of older stuff that I found in several cabinets. I finally came to shoot the classic S 3/6 - mother of all H0 S 3/6 models (Märklin 3092); next to her stood the Belgium version Nr. 5920 (Märklin 3111). Since I had some leisure time, I shot several Dutch models, such as a steamer "Serie 6300" from the Dutch Railroads (Nederlandsche Spoorwegen), produced by Artitec. By the way, I posted al these materials on a special "Dutch page" now. There is indeed some odd stuff in my collection. 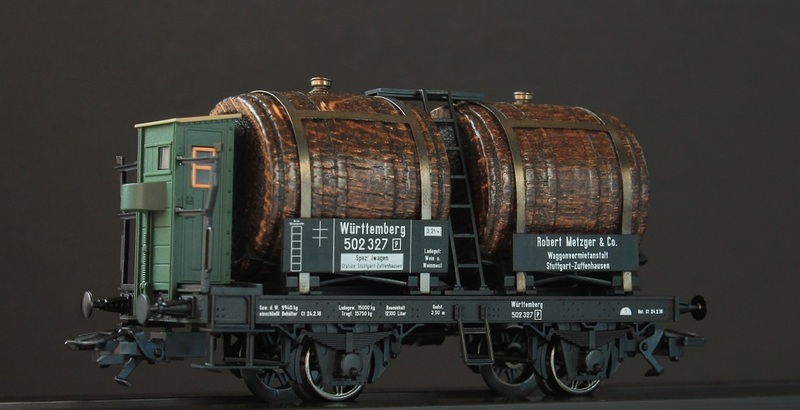 Now take this "Märklin Magazin" coil car (Limited Edition 1992), carrying paper coils for the magazine. An initially small photo shoot session ~ with Class 95 (Märklin 39095) as main dish ~ became major since I had many hours to spend. Today, I shot many non-German models as well, for most Dutch material like Class 1200, 1300 and 1600 from the "Nederlandse Spoorwegen" (NS). More items can be found at the "Dutch page". I also bought myself 20 sets of wheels - Era 1, Bavaria grey, double spokes - which are finally in production again. Since some 25 Trix cars have still there awful "plastic" wheels, I decided to invest in my Bavarian Trix Park. Here's Trix 23827 - before and after the wheel (and coupler) exchange. You may judge for yourself if it's an improvement or not. Alexander Nozadze made me aware of this special feature: a Württemberg Class B Alt (1865-1868) made by the Canadian firm Eisenbahn Canada. These two engines come together in one set (H0-009/4) and are worldwide limited to 10 pieces only (makes 20 models), They were released two weeks ago. The set consist of Nr. 178 BASEL and Nr. 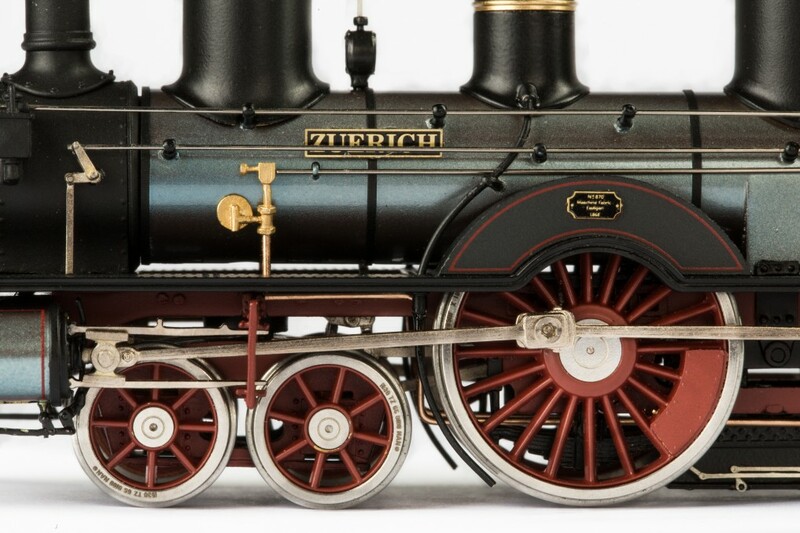 179 ZUERICH, both released in 1868. 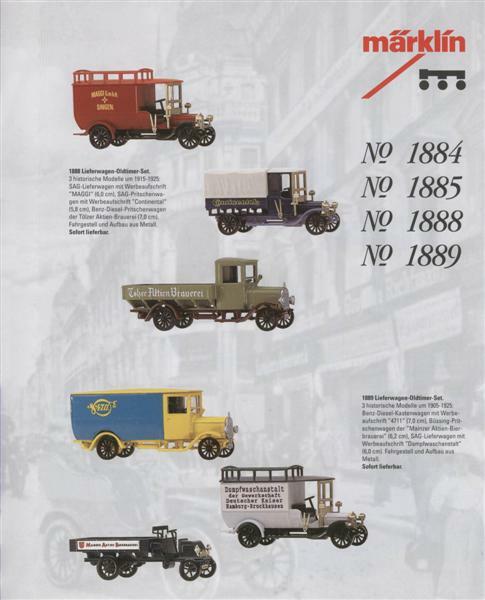 Since the Class B (Alt) was not introduced in the DRG number scheme (their "Ausmusterung" was 1896 viz.1904), it won't fit in the Models List. (It would have become Class 36.13 or something like that). Therefore I like to present these gems just here! Mr. Xan Yu, Sales Director at Eisenbahn Canada, was so kind to send me the original pictures with explanatory text. Next to the trains I finally started to shoot al metal miniatures in the 1800-series. Märklin released several in the 1992-1994's. I started a special page on Miniatures. "took the shot". Then there was the 2014 Trix Profi Club model (#24045) and the G 5/5 in set (Märklin #26603). Today, there was a guy in the shop who - over a cup of coffee - talked about his favourite websites. He mentioned a very interesting video "of a guy named Osterhouse or Osther-something... with a Prussian P 10 and the score of Shadowland in the background." I looked him in the eyes and replied: "Yea, I know this guy. Once in a while he visits this shop for a photo-shoot..."
I didn't give him the egw eimi. 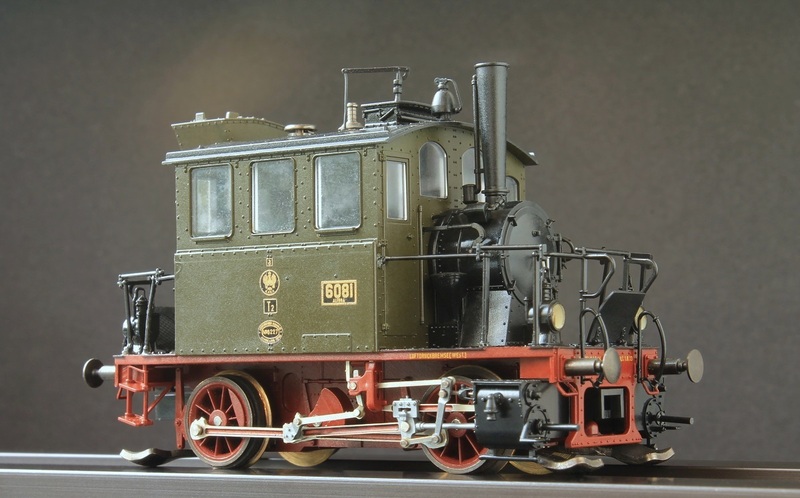 As mentioned, there was this client who purchased the DB Kondenstender Mallet (#37020), the 2013 Märklin Insider Model. He waited for over an hour before I arrived at the scene to "pixelate" his model. A really fine set of coaches is the "Schürzenwagen" (#43209, LE 1997) with additional Speisewagen (43250) and Postwagen (43260). Steady working on my collection, I couldn't resist shooting two models I bought myself after my very first one, Märklin 3029. These are two originally black models from a starter set (Koll 3090.5), released between 1976 and 1979.
ran them with the "Abteilwagen" (compartment coaches) #4004 and #4005. These models ran their course for "millions of miles" on my dad's layout and I treasure the memory of those many fine years. Although they were originally black and red, I repainted them in a frolic Länderbahn-style after some years. As a small token of appreciation, I gave them a place on my site today. They were shot May 2nd of this year, some 34 years after they came into my life. Six times #4004 (mit LED-Schlusslaternen!) and only one #4005 running in the front. Working on the DRG-collection photo shoot, here's the second version of Märklin' G 10 (#4695.2, dark brown, released 1988-1991). The first reddish-brown version (#4695.1) dates back to 1981. Working on photo shooting my DB collection, I'm truly fond of those Märklin "4500 and 4600-ish" series from the late 1970's, early 1980's. My Class 41 for instance (Märklin 3082) ran many rounds on my dad's layout with seven good vans (Märklin 4627) and 4 "Rungenwagen" (Märklin 4694). At times I continue photo shooting those gems, hidden in the cabinet. Here's a small pile of Württemberg good vans, produced by Märklin in the 1980's. As you can see there are two pieces of the Märklin 4691 Falls with different printing: Juracime Cornaux /Juracement Wildegg. Besides, I bought myself this lovely Bavarian Kolonialwagen, be it second hand but in a mint state. A friend of mine had one himself already and while buying a small collection that contained this car, he offered me the opportunity to purchase this item for a friendly price, since he knew it was still missing in my Bavarian Collection. This specific car is a true collectors item, since it was a 1997 Limited Edition. I decided to shoot every one and single model of my collection once more (left the ones that are good enough to me! a heck of a job anyway) in my own studio (read: attic). I will even add some extra's like boxes, leaflets and additional cars (LKW's), be it once in a while. You'll find them at... well, just find them yourselves. Today I ran into a small "treasure box" with some spare parts and gifts that I got during the 1988 Märklin Seminar in Göppingen. One of them is the mould of a Mini Club Class 03. Read more about it. "Made in Germany" ~ What else? I also found two boxes of the very first wagons I bought in the 1970's. The famous 4004 and 4005. 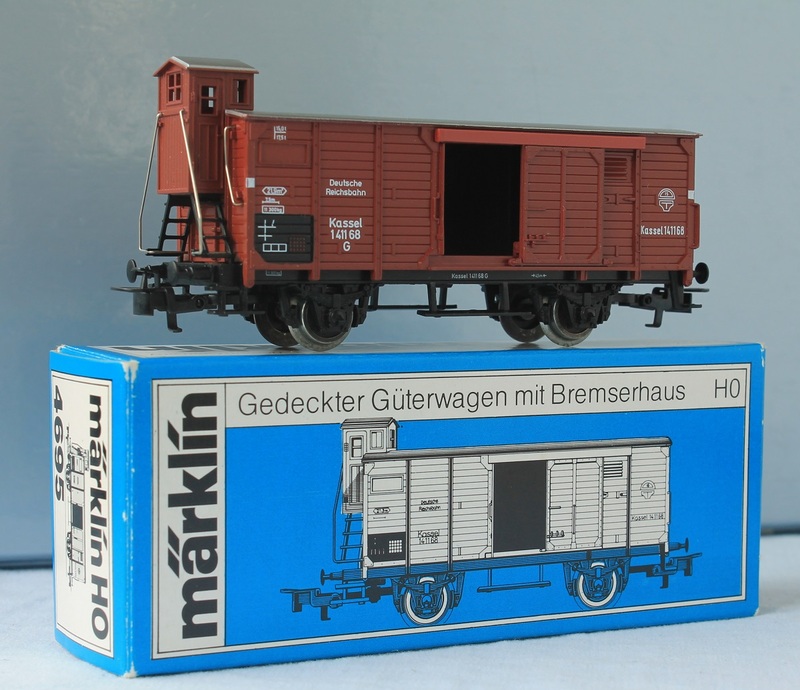 See the extended story of Storing Märklin. I decided to "unpack" my whole collection of wagons, stored in the cabinet and in boxes under my layout in the attic, with many items of the DRG, DB and DR era. Hence, new pages are accessible which will show models of my collection that do not fit into the Era 1 draft. in the way most models are presented "in modus contemporativus", so to say. It concerns for most renovation of the page "Die Länderbahnen in Modell". BTW: I'm considering of selling parts of my Osterthun Collection, that are not (yet) on this site, since they concern mainly the DRG, DB and DR era. 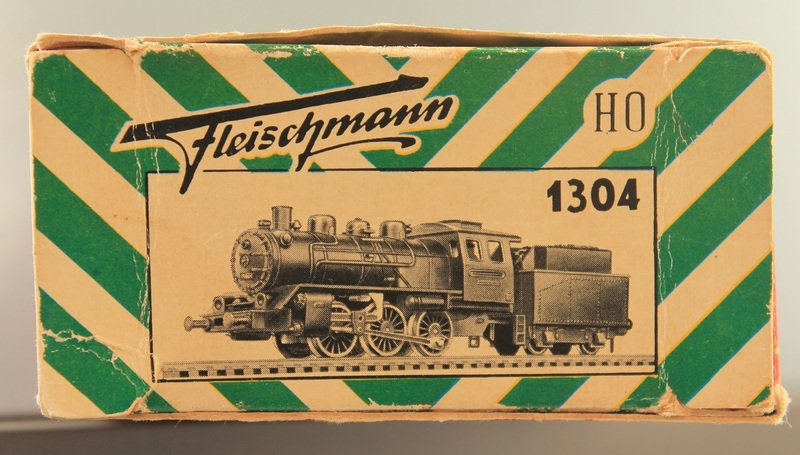 Mostly Märklin, Fleischmann and Roco. If you are interested, just send me an Email! Be aware that I have to unpack my boxes (as wine flasks lying in the cellar for many years) and that I have to make a list with additional pictures. All in due time... so: speude bradews! together with DB 03 244 (the latter also released separately as 37956). next to the simplified but now digitalized DB 89 009 (Märklin Start Up 30000) or 24 041 (Märklin 36243). 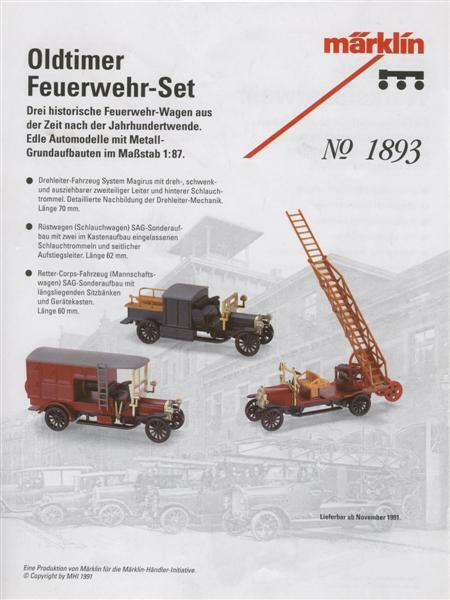 In 1993 I found a special set in a shop at the Löhrstraße in Koblenz , called "Kulmbacher Bierwagen Set". Although each of these four cars have no road number, they still look pretty nice in an Era 1 train combination. Pictures that I shot earlier (2008) were recently added in the Laenderbahn-List. Since the city of Kulmbach belongs to Bavaria, these cars can be found "ad loci Bavariensis". I added some more pictures which I took a fortnight ago. I enjoyed being at my dealer's again for a couple of hours today. in weathered condition or the Bavarian coal hopper set . Various stuff from the shop itself was at hand as well. You will find them at the WSUM-dealer's page. There were also several static models I found in the show case just where I was shooting, models that were rather awkward to me. After some research I found out that they were 1:100 scale non motorized replicas made by an Italian firm called DeAgostini (Atlas). In due time I will put all pictures on the site. Andreas Bretting, reporter at the Bavarian Daily "Weilheimer Tagblatt" asked me permission for using my picture of the Bavarian BVI "Mittenwald" locomotive for an article considering "150 years Railraod in Weilheim" ( Upper Bavaria), meant for today. Alas, the chief editor decided differently and chose a picture of the Weilheim Station (1910) instead. next to the set of Bavarian coaches (Trix 24884), which were an omission in my Länderbahn Models List, until now. Where I received fine pictures of the (missing) Fleischmann KPEV-Lazarette Zug from José Maria García Olgado, I also was given permission to use the Trix Club Models which are taken by Søren Jacob Lauritsen and can be found on his site railway.zone. 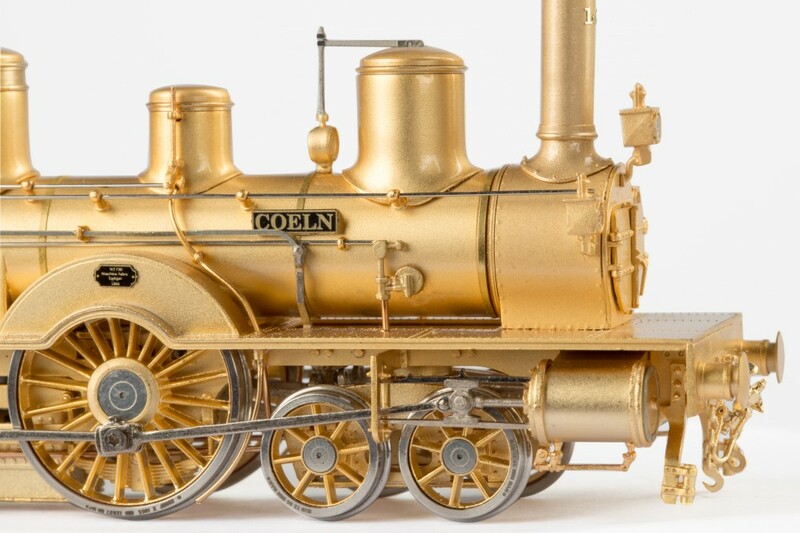 I found some very fine pictures of Ralph Schnabel's Märklin collection on the Internet. Since I was in Amersfoort today, I shot my uncles small collection of locomotives once again, since the last time (November 6th 2015) the light was of poor quality. 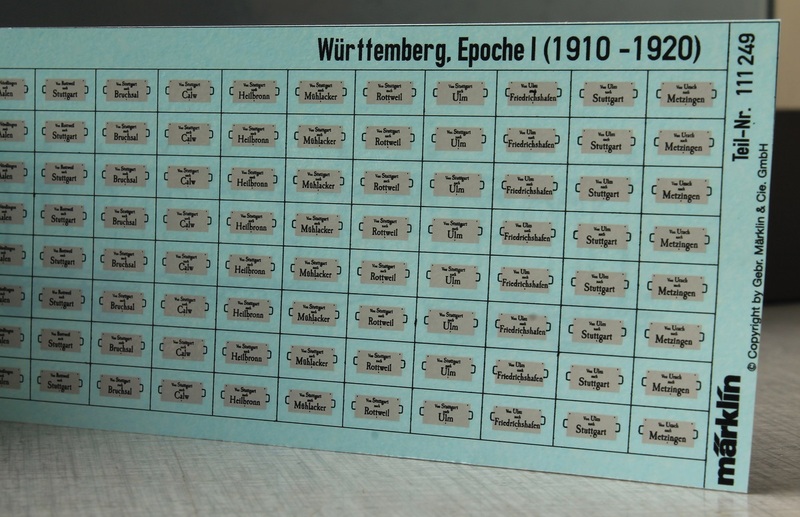 Since then he also bought himself a German Altbau locomotive Class 41 (Trix 22375) to almost complete the rolling stock for his Betriebswerk. He's still waiting for the Roco Class 85 to be released. This time I used the wall of his attic as a background during my photographic shooting, where at a certain moment Gisbert "appeared into the picture". Nevertheless it seemed to be the best shot I had made this day and to credit him... well, here it is.